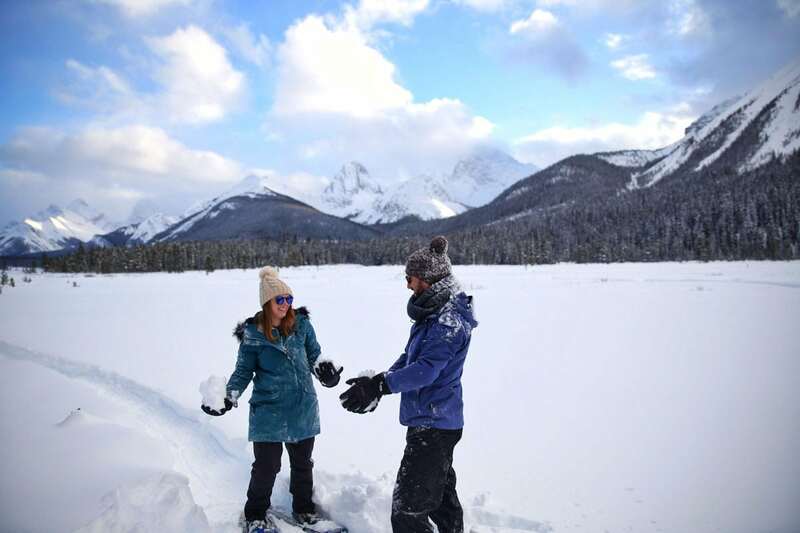 Planning a trip to snowy Banff in winter is something that takes careful research and preparation. 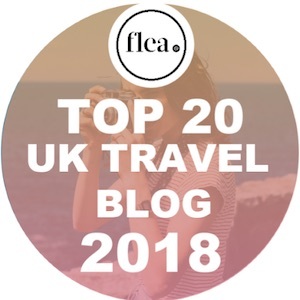 From how much things cost, to tips on what to pack, here are a few things I learned during my trip, and a few things I wish I’d known before! Some trips feel easy to prep for. Heading to Mexico, I knew I’d need a suitcase of bikinis, shorts, dresses and flip-flops. For my UK adventures over the last few months, I made sure I packed a warm jacket and some shoes I didn’t mind getting muddy. The ones I’ve found more difficult to prep for have been the ones with extreme weather. Dubai confused me, after reading conflicting posts about whether to cover up (for cultural reasons) or wear next to nothing with temperatures being so high! Our recent trip to Canada was another of those. 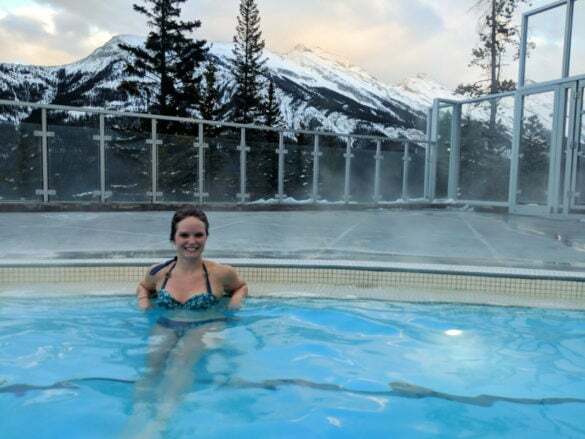 When I began preparing for my winter trip to Alberta, I felt unsure of what clothes I’d need for the extreme cold, how to get around and how much to budget. 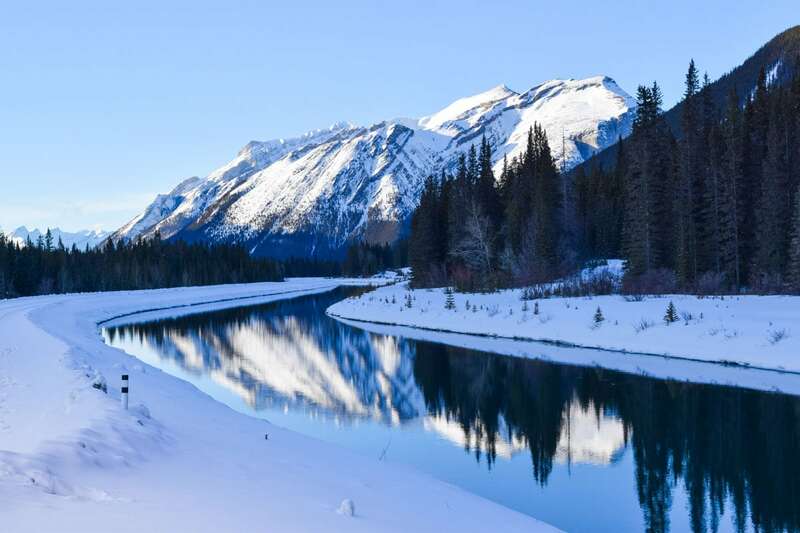 So, if you’re thinking of visiting Banff and the surrounding areas in winter, here are a few tips to help you plan your trip. When I visited in March temperatures were between 6 degrees and -20 degrees celsius. However, it can drop even lower in the middle of winter (it had been as low as -35). It’s a dryish cold, so while you’ll feel the chill when you step outside, don’t be nervous when you see the weather forecast. Minus twenty sounds painful, but with the right clothing, it’s totally manageable. You’ll need items that keep you warm and dry, and plenty of layers too. Here’s what I’d recommend you pack to stay warm. Thermal Waterproof Jacket – If you buy one new item, invest in a great coat! I lived in this lovely teal jacket from Craghoppers. It’s really warm, has a great hood, and lots of pockets to store valuables while you’re out and about. I also adore the colour – how great does it look against those snowy landscapes? It’s been a great addition to my wardrobe, also coming in handy during the recent cold snaps in England. Waterproof Trousers – I wore these waterproof trousers almost every day we were in Alberta. You really need a fully waterproof outfit so you can enjoy the snow without getting wet or cold. If you’re a skier you might already have a pair of salopettes, which would work perfectly too. Thermal Base Layers – I got used to the daily process of layering up! Underneath my waterproof trousers I wore thermal leggings and a thermal top. I found mine in a sports shop, but Amazon have plenty of options including these thermal leggings and this thermal top. If you’re shopping on the high street, Uniqlo are fab for thermals – check out their HeatTech range. Fleece and jumpers – On top of my base layer I wore either a fleece or a warm jumper… and sometimes, dare I say it, I was actually too hot! I packed this gorgeous chunky lambswool jumper which felt like the cosiest thing in the world! I also found a great fleece that was bright and colourful and really warm! Ski Gloves – The day before we flew to Canada, I was frantically running around the shops in London trying to find some ski gloves that weren’t £100+. I knew they were a purchase I wouldn’t use often enough to justify that kinda of cost. Thankfully, being smaller than your average person, I discovered I could squeeze my hands into kids gloves (hello money saving tip!) I picked a great pair up for £20. If you have time to order some in advance, you can pick up this adult pair on Amazon by ski brand Barts for around £20. Waterproof Boots or Snow Boots – Regardless of what activities you’re planning to do, you’ll need some waterproof boots. I wore my pair of Danner Women’s Mountain 600 boots for the duration of the trip, using them for hiking, snow tubing, snow shoeing and even out for dinner in the evenings. They were a great multi-purpose shoe, keeping my feet warm, supported and dry. 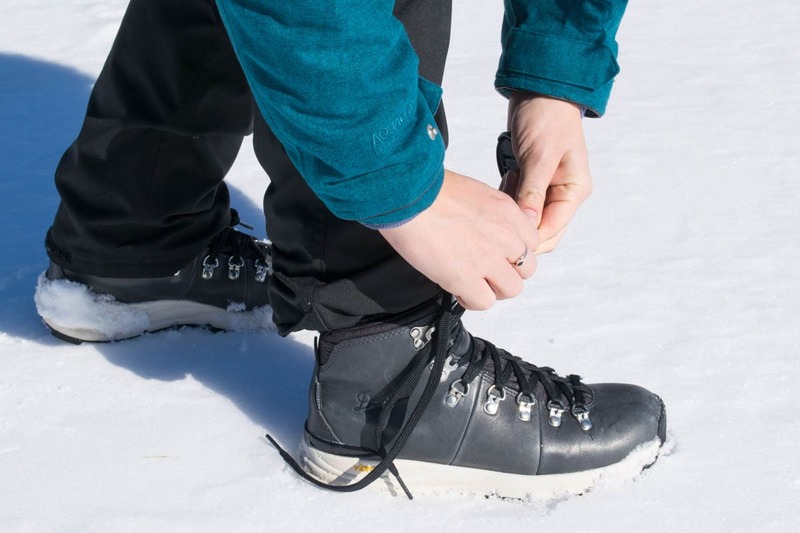 If you’re likely to be out in deep snow, you may want to take a look at boots that come up a little higher, or ones with proper thermal insulation. Ski Socks and Thermal Socks – Most days I wore two pairs of socks – long ski socks like these and hiking or thermal socks. I only complained about my feet being cold once, so I think it was the right decision! Warm Hat – A cute bobble hat like this one by Barts or this one by Joules is a must have! 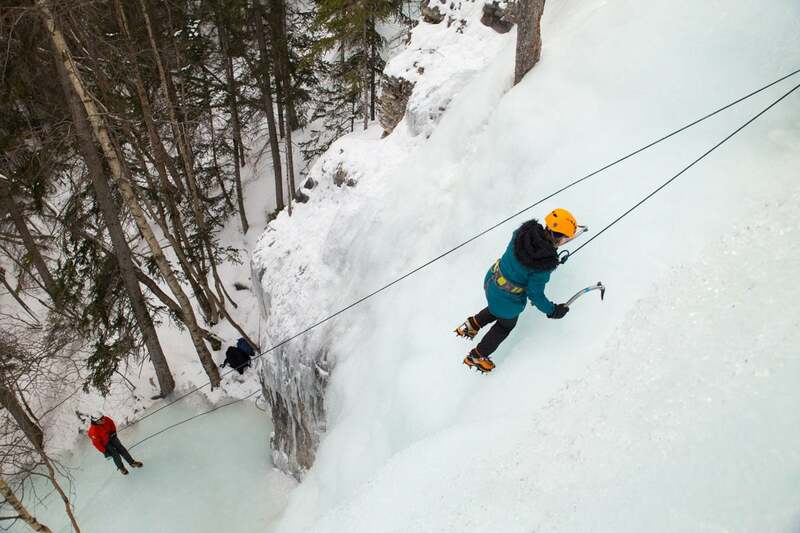 For some activities where you need to wear a helmet (ice climbing for example) it might be useful to have an alternative option without a bobble. Scarf And Snood – I’d recommend packing a lovely warm scarf to wrap up with –these warm plaid scarves are nice! If it’s particularly cold, you might find a snood handy too. Swimwear – After an active day in the snow, there’s no better way to relax and warm up than with a dip in the hot springs or a warm hotel pool. Don’t forget to pack your bikini, swimming costume or trunks. Sunglasses – We were lucky enough to enjoy blue skies and sunshine almost every single day we were in Alberta in March. Don’t forget your sunnies. With all that snow around, it can get really bright! I did a big order from Sunglass Warehouse a while ago. They’ve got lots of fun, stylish designs, but they’re really reasonable and have lasted well. Other Clothes – I also packed regular clothes including T-shirts, long sleeved tops, jeans, a smart dress, leggings etc! The restaurants and hotels we visited had excellent heating and insulation so it was fine to wear normal outfits indoors. 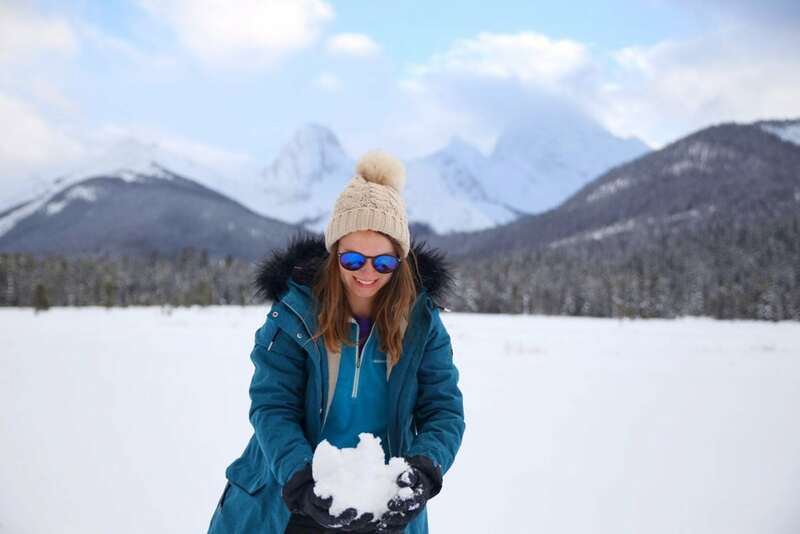 Hand Warmers – If you really feel the cold, these will be a welcome addition to your Alberta winter packing list. You’ll spot them for sale in shops around the region, but if you buy them in advance they’re a lot more reasonable. On Amazon, you can pick up these Hot Hands hand warmers for as little as 35p each and they stay warm for up to ten hours. The coat I had actually had ‘hot pockets’ to put them in so that they warm through the pockets and the coat! This is one part of the world where you really need a car to get around! While there are some buses, to truly experience the region, you’ll want to be free to explore on your own time. We hired a car from Calgary Airport when we landed. Be warned, a lot of the vehicles are large compared to what we’re used to in the UK, so inexperienced drivers may find the dimensions challenging! We ended up with a 7-seater SUV with a large boot. While it was super sturdy, we’d definitely choose a smaller car next time, as it was tricky to park. Our car had winter tyres. While they’re not mandatory in the state of Alberta, we were really relieved to have them as away from the main highways we encountered a mix of conditions. There were partially cleared roads, slippery ice patches and in some areas e.g. around remote lodges we stayed at, we were driving on thick snow! If you’re not used to driving in winter conditions, get the winter tyres. Other than that, the main highways were easy to navigate. I’d recommend sorting an internet package (more on that below) to take the stress off planning routes in advance. Also, one more thing to note. As this is winter, there are unpredictable moments which could change your plans. 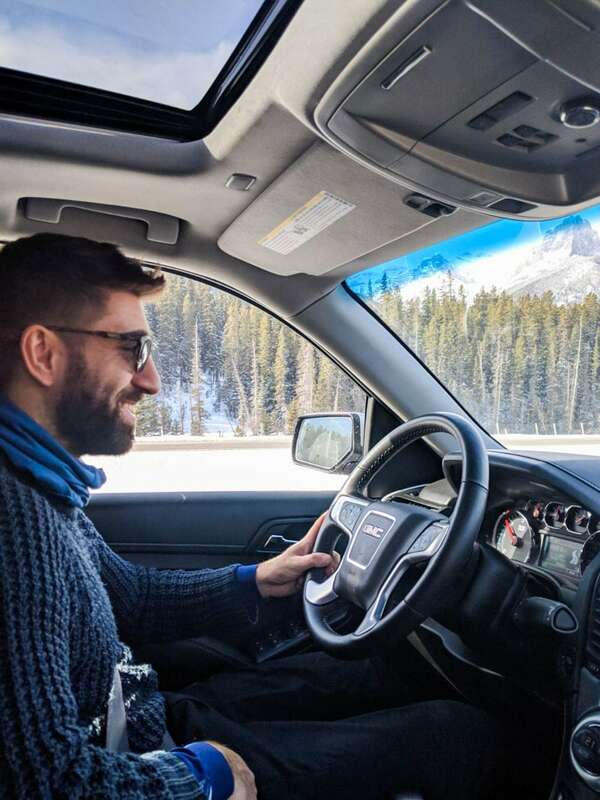 Avalanches happen in this region and sadly that may mean that roads like the famous Icefields Parkway (one of the most scenic drives in the world) may be closed. First things first, there are plenty of internet black spots in this region. As the views are so incredible, I’d recommend switching off and enjoying some digital detox time! As data rates on English phone providers are pretty crippling, if you want to stay connected, I’d advise getting a sim card to use there. Canadian data can be a little pricey, but we were relieved to have access to 3G to check routes and keep up to date on social media. I can’t vouch for these, as I haven’t used them, but Roam Mobility offers 500MB over a 7-day period for $30 which doesn’t seem too bad, but then 500MB won’t last long for heavy data users! One Sim Card offers packages where you buy the sim card and then pay for what you spend. Once in populated areas there are plenty of free wifi spots, including at the visitor centres and in hotels, bars and restaurants. We spent a lot of time within the national and provincial parks. They cover huge parts of Alberta and it’s important to play by the rules. 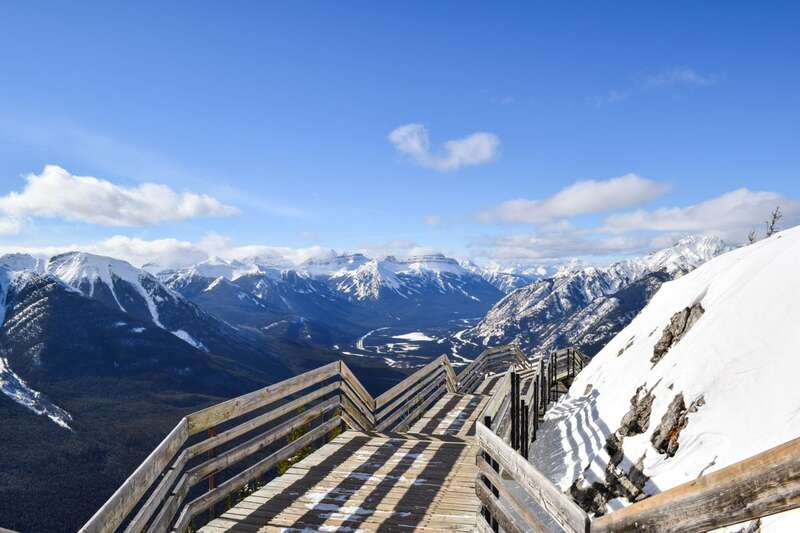 You’ll need to buy a national park pass to enter Banff and Jasper National Parks. If you’re driving from Calgary, you can buy these at kiosks as you enter the park. They offer free admission for people aged 17 and under, adults are $9.80 per day or it’s $19.60 for a family pass which covers up to 7 people. 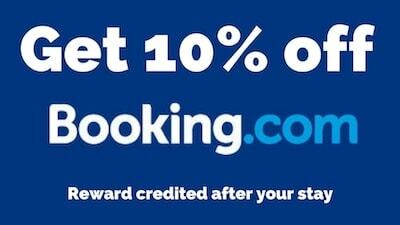 You can check the latest prices here. If you’re staying for a while, it might be worth picking up a Discovery Pass which costs $136.40, and is valid for 12 months up to 7 people. As you can see, these are stunning areas of natural beauty, so be courteous! Don’t leave litter behind and don’t even think about flying drones within the parks. It’s totally against all the park rules and the fines are massive. Another huge reason to visit the parks is for the wildlife. While the most we saw was a small deer, there’s a chance you could spot elk, moose and even bears. If you’re lucky enough to see them, don’t get too close. Just enjoy those magical moments! Outside of Alberta’s cities, there’s a chance of seeing the northern lights between September and May. Keep an eye on the aurora watch website to see how likely it is that they’ll be visible. For the best chance of seeing them, head to a remote area away from any light, wrap up warm and be patient. If you want to try to snap some beautiful shots like this one, invest in a tripod and learn about the best settings. 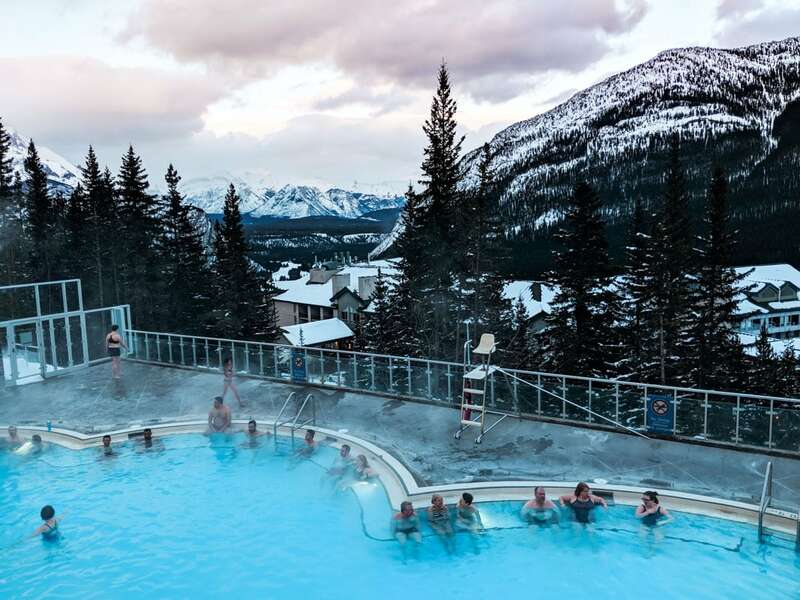 How Much Does It Cost To Visit Banff, Canada? Incase you want to budget for your trip, here’s a rough idea of what things will cost for your travels in Banff and the surrounding areas. I hope this post has been helpful! Leave me a comment if you have any other questions and I’ll do my best to answer them. Continuing your travels in Alberta, Canada? Check out my Edmonton Travel Guide and my Top Restaurants In Edmonton, Canada! This content was produced in collaboration with Travel Alberta and Destination Canada who organised this incredible trip to explore the region in winter. If you’re looking for inspiration for your trip to Alberta in Canada, check their sites for lots of amazing advice. As always opinions are my own! I’ve just been buying all this sort of stuff for Patagonia! 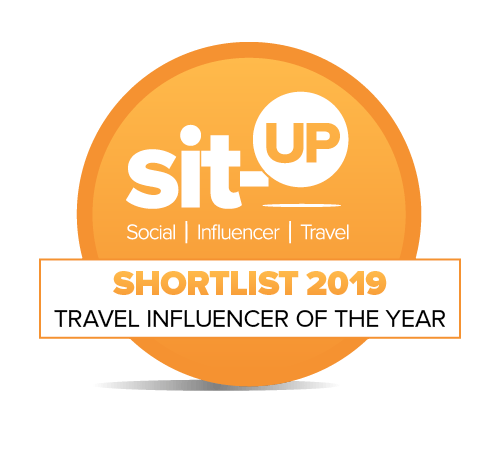 Hi, I’m a solo female traveller and thinking of booking a trip here in Jan. I wont be driving so want to know how easy it is to get a shuttle bus at this time of year from the airport and then from banff into the national park/ lake louise? Also would like to do some easy day hikes but worried about going alone- is it safe? any advice appreciated! Hey Sam, Hope I’m not too late replying! How is your trip planning coming along? I loved that part of Canada – so gorgeous in winter. I don’t know much about shuttle buses I’m afraid as we had a car. Have you looked at the Banff National Park website? I know that had a lot of info when we planned our trip. In terms of hikes, Johnston Canyon was one of my faves. SO pretty and a nice easy one. Lots of groups there but it’d be fine to go alone and you don’t need a guide. Have an amazing trip! 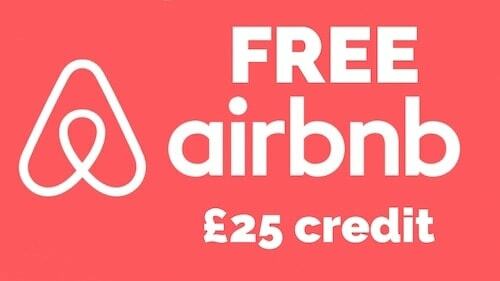 enjoyed reading this and ive gained some great knowledge ahead of my trip at the end of Feb.
Can I ask which rental company you hired your car through? Did you get a 4×4? I have booked everything for my trip except the car hire as I am reading some horror stories about some of the rental companies. Hi Chris – hope your planning is going well. Ours was booked through one of the standard ones at the airport. I think it was Hertz but I may be wrong! Ours was a giant 4×4, Yukon XL. Much too big for us to be honest! I’d go for a smaller vehicle next time! I enjoy reading your informative blog. It will be our first time in Alberta. We will be renting a car from the airport in Sopkane and drive to Alberta at the end of Feb 2019. Would you recommend a 4×4 car or reg all season is fine? I heard from locals either is fine, but also want to consulted with you as well. Thank you for taking the time get back to me. Hi Sophan, I’m not too sure! I think 4×4 feels more secure but I know we saw all sorts of cars there then. We’re not very used to driving in snow and ice, so anything to make us feel a bit safer is a bonus!